Anybody need reminding that playthrough videos are awesome? Well, in case you do, here’s a hefty example, courtesy of creative metal powerhouses, The Last of Lucy. Everything Is Noise are hereby proud to present a brand new drum playthrough video of their fantastic 2017 track, “Advertent Avidity”. For those out of the loop, The Last of Lucy are a technical death band with some seriously inventive moves, and are preparing to record a long awaited follow-up to their 2017 album Ashvattha. In the meantime, the band revisit an old classic with a live drum session, which proves their skills remain as sharp as ever. 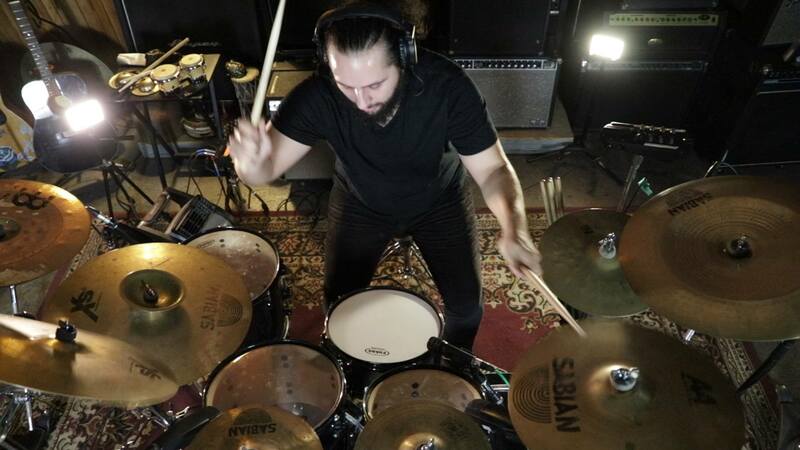 Observe as drummer Brandon Millan crashes, kicks, and snares expertly through this wonderfully inventive track! It is a true showcase of masterclass standard and pretty damn mesmerizing, whether you’re able to navigate a drum kit or not. The video also serves as affirmation that The Last of Lucy are a formidable outfit with a hell of a lot of good ideas. Those out of the loop are strongly advised to jump straight from this and onto the Ashvattha record in its full-length glory. The album is a rich assortment of jazz, tech death, djent and a whole load of other finely blended influences. It’s the record that keeps on giving. Recording for a new album begins this year, which is unfortunately all we know for the moment. In the meantime, you can check out more of The Last of Lucy at their Spotify and Bandcamp pages. For all other news and info, visit their Facebook. Previous PostInter Arma Announce New Record, Release Single "Citadel"
Next PostHexvessel - "All Tree"